What does it takes to be a Security Guard in California? 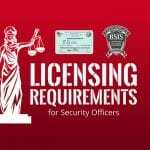 California has some of the toughest rules for security licensing & registration and this article explains California Guard Card licensing requirements quickly and easily. I will help you make sure you have everything you need to sail through the process and save you from headaches, added costs and revocation of your rights. 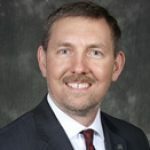 With these easy-to-follow tips you won’t get in trouble with the California Department of Consumer Affairs, Bureau of Security and Investigative Services (BSIS). California requires anyone that works in security to be registered with the State. For security officers this is a called a “Guard Registration Card” or a “Guard Card” for short. A California Guard Card tells employers and the public that have been properly trained, fingerprinted and background checked and are authorized to work in the security industry. Once you’ve completed all the requirements and paid your fees BSIS (bureau of Security & Investigative Services) will send you your Guard Card. Who Needs a California Guard Card? Any other position requiring a security activity to be performed in the course of employment. You must have your Guard Card with you at all times while working. Failure to do so is punishable by a fine and administrative action against you and your employer. If you work for an in-house security department then you must have a Proprietary Security Officer (PSO) registration. California licensing requirements are among the most strict in the nation with a high price for anyone violating them. I have a California Guard Card. Can I be an “Independent Contractor”? NO. This is unlicensed activity and a misdemeanor. Individual security officers with only a Guard Card MAY NOT enter into an agreement (contract) to provide security services, doing so is a crime. To be a security contractor you must possess a valid PPO (Private Patrol Operator) license. A PPO is the license that BSIS issues to security companies. 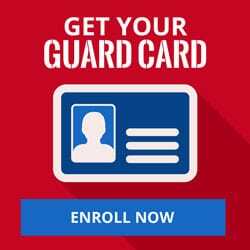 A Guard Card only allows you to be the employee (with taxes taken out of your check) of a security guard agency. That a company that has a PPO. The other option is to be the employee of a PSE (Proprietary Security Employer). These are the only two options. How Do I Get My California Guard Card? 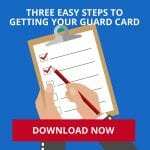 It’s a simple process to get your guard card. Powers to Arrest – Laws & rules of private person’s arrest. Weapons of Mass Destruction – Education on the tools & tactics of terrorists. Submit Fingerprints – Go to your nearest LIVESCAN facility and submit your fingerprints. Check the BSIS Website – Once your Guard Card is approved you’ll be able to see it online. To work as an armed security officer you must also have a Firearms Card. A Guard Card alone does not allow you to carry a firearm. Your firearm permit will say the caliber of firearm you are permitted to carry. Off duty law enforcement working as a security officer must also get a firearm card. A concealed firearm may not be carried unless you also have a valid CCW (Carry Concealed Weapon). Security officers may attend training for these items and receive a certificate of training in their use. Neither the certificate nor the training is required by BSIS. Following these simple quick and easy tips will ensure that you’ll have everything you need. 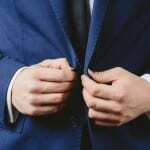 If your goal is to be hired on-the-spot and go to work right away then you’re well on your way. It’s easy to make sure you’re have what you need so make sure you do it right. Join us on Facebook to make sure you’re always up to date!